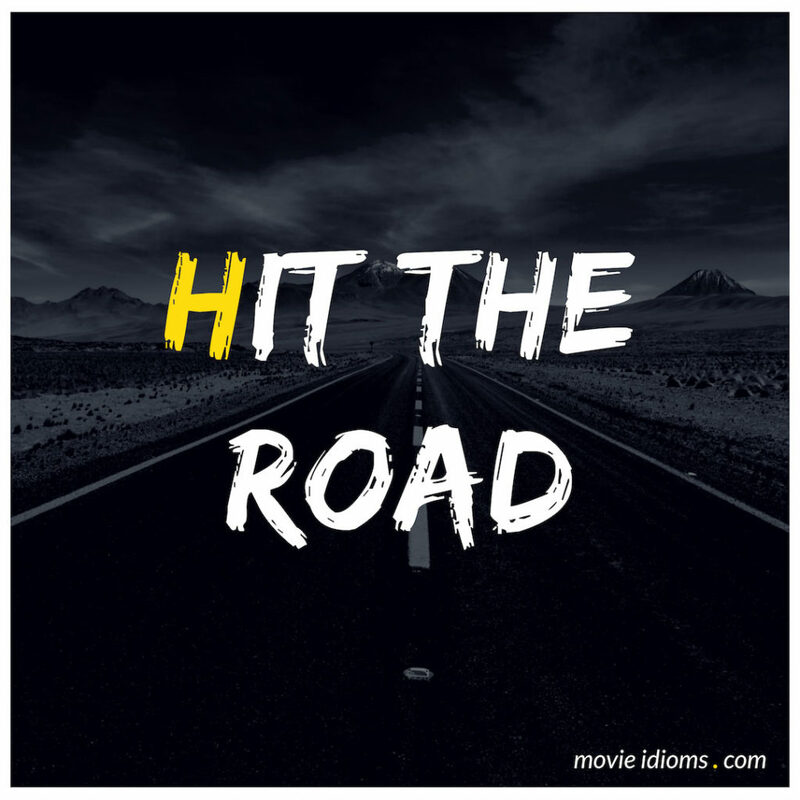 What does hit the road mean? Old Man Jenkins: Cherry wine. Goddamit, Woody. I got half a notion to pull up stakes and hit the road for California. Carl: I been thinking about down the Gulf of Mexico or the Rio Grande valley. Just somewheres I can grow some fruit, peaches. Them Indian blood peaches with that red meat. Connie: Let your eyes crinkle, let your skin wrinkle. Our lines show that we’ve lived. If he doesn’t love you when you look like a map, tell him to hit the road. Jack Colton: I understand you have a car. We would like to buy it or rent it, we need to get to a town. Juan: What do you call this I’m living in, a pigsty? Jack Colton: Oh, no this is great. Juan: Vaya con dios, gringo. Jack Colton: Okay, Joan Wilder, write us out of this one. Juan: Joan Wilder. Joan Wilder? The Joan Wilder? Juan: You are Joan Wilder, the novelist? Joan Wilder: Well, yes I am.